Connection to the server failed. Please try again later. You already own a repository with this name. Pick up sticks... and make them move! Pivot Stickfigure Animator allows you to create stick figure animations easily and without any artistic skills. 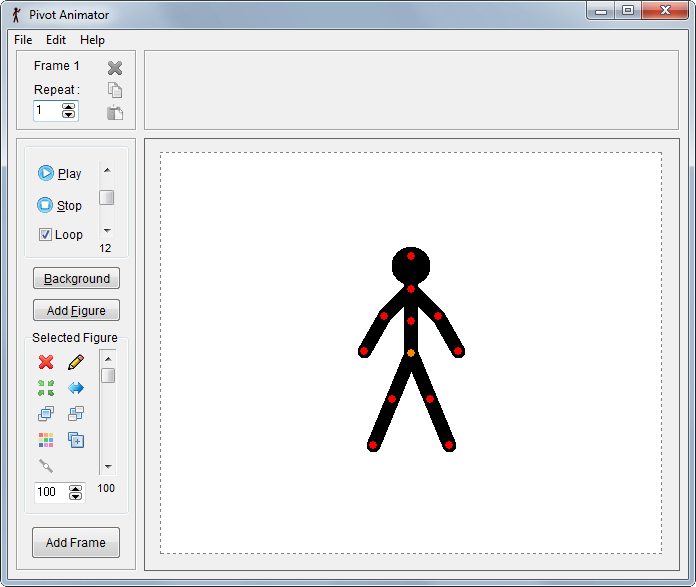 Move the sections of the stick figure and easily create a chain of animation frames that can be previewed as you go. Use more than one stick-figure in the animation, and even create your own stick figures using an easy-to-use visual editor that lets you assemble objects out of lines and circles. In addition, you can optionally set animation size, speed and more. The result can be saved as animated GIF file. Pivot Stickfigure Animator is fun, easy to use, and surprisingly well-featured. depends on and will fail to run. Are you sure you want to delete the repository ? Your issue report has been received and will be reviewed shortly. If you need any additional assistance, please contact us at support@turbo.net. This application must be configured to run in your environment. Download Turbo Studio or contact us to find out how. Your request has been received. We'll be in touch with you shortly!